FREE Family Art & Culture Events! Now starting our 8th year serving the families in and near Bartlett. Color My World is a K-12 visual arts & cultural enrichment academy within Arts in Bartlett, featuring teaching artist, Kathryn Benton. Kathryn’s experience in teaching visual arts in schools and museums in Chicago and Denver inspired her to partner with our local Arts center to offer small studio type classes in drawing, painting, clay sculpting, mixed media, and global arts. 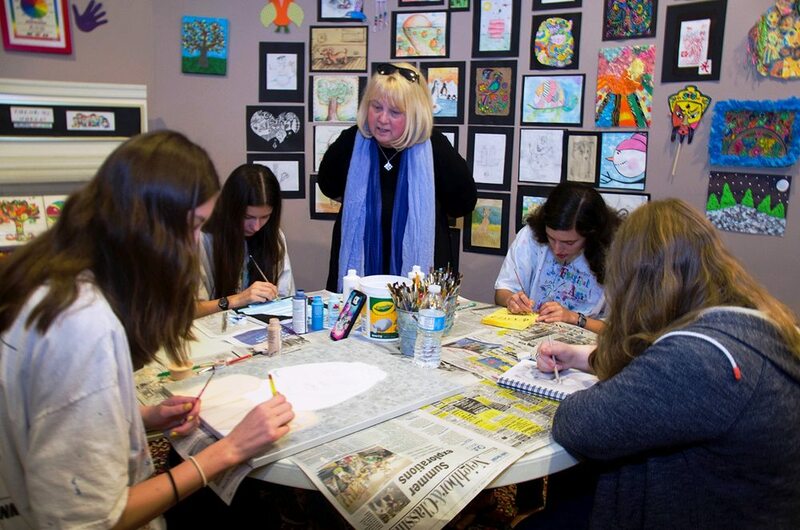 Kathryn’s onsite classes and traveling global art workshops help children and teens discover, explore and enrich their lives through visual arts and cross-cultural understanding. Academy Hours: Open by appointment and while classes are in session. Located in the Arts in Bartlett Center at 215 S Main St Bartlett, IL, just south of the metra-station in downtown Bartlett. Kathryn Benton’s Color My World Arts Academy works in partnership with Arts in Bartlett, Ingenuity for Chicago Public Schools, School Districts U-46, 54, and the Girl Scouts of Northern Illinois offering studio art classes and art reach programs to city and suburban area schools, libraries, scout troops, and community groups. Kathryn Benton’s Color My World Arts Academy is a member of the Arts and Education Exchange; an Arts Alliance Illinois initiative, in partnership with the Illinois Arts Council, and the Illinois State Board of Education. Copyright Kathryn Benton, Color My World ARTS Academy All rights reserved.